An endorsed Counselling Psychologist and Organisational Psychologist, Peter founded the Guidelight Psychology practice in Southport in 1994, expanding into Brisbane in 2011. Under Peter's skilled and caring leadership, our Gold Coast Psychologist Centre has been able to help thousands of individuals, couples, families and businesses for nearly 25 years. Peter finds it particularly rewarding to help his clients find solutions, and gain results, across all types of people and performance problems. You can find out more about his executive coaching services here. Dianne is a Gold Coast Nutritionist who specialises in Food as Medicine. She has a passion for working with individuals who have special dietary requirements (such as religious, ethical and medical dietary types) and with those who want to learn how to nourish their body further through food. Past lecturer with Weight Watchers (5+ years experience). Dianne has enjoyed coaching many clients to achieve their health and nutrition goals, and shares her experience, recipes, and other information at her Food Prescription website. Stephanie is a psychologist with general registration with the Australian Health Practitioner Regulation Agency. 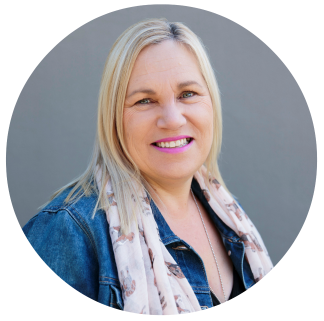 Stephanie provides counselling, coaching and psychological services at Guidelight Psychology Gold Coast for children, adolescents and adults. Working from a holistic, person-centred philosophy, Stephanie supports individuals, couples, children, and families to become stronger, communicate better and manage worries more efficiently. Psychometric testing - intelligence and achievement for children and adults, PTSD, Attention Deficit Hyperactivity Disorder (ADHD) and Autism Spectrum Disorder (ASD). To book an appointment with Stephanie Kalanj-Mizzi, please call our Gold Coast Psychologist Centre on (07) 5527 0123. Penny is a fully registered psychologist and an associate member of the Australian Psychological Society. She became a psychologist to work more closely with people, understanding that many of us encounter difficult and challenging times in our lives, where additional support is necessary and valuable. Penny has worked with adults of all ages, adolescents, and children in a variety of health, community and private settings. She provides a personal approach to therapy, believing that each person has a unique history to be valued and respected. Penny works from a Cognitive Behavioural Therapy (CBT) approach, while incorporating other therapeutic techniques, eg Acceptance & Commitment Therapy (ACT) and Mindfulness-based practices. Penny offers a compassionate, non-judgmental and supportive service, and is looking forward to working with and assisting people over the age of 16 years with the many challenges they may face. To book an appointment with Gold Coast Psychologist Penny Hendrie, call Guidelight Psychology on (07) 5527 0123. Khia is the wonderful Office Manager and friendly receptionist at our Gold Coast Psychologist and Counselling Centre. She will handle all your booking and accounting enquiries, together with any general enquiries you may have. Khia came to join Guidelight Psychology over 5 years ago, after moving to the Gold Coast from New South Wales. Prior to joining Guidelight, Khia worked as a legal secretary for over 20 years. She also has experience in the fields of IT and childcare administration. Karin was first drawn to yoga, pilates and group fitness 13 years ago, when she learned of its many benefits, and became a certified yoga teacher and pilates instructor in 2013. Currently Karin is studying Public Health at Griffith University with a focus on Environmental Health, Climate Change and Sustainablity. A woman of many talents, Karin is also the current Muscle Mania (Natural Body Building) Ms Model Australian champion. As a busy mother of 3, Karin believes in the power of yoga and physical fitness to create positive change in mind and body, through encouraging strength, focus, balance, flexibility and openness. Front Page Web Writing assists us with the content and updating of this website.